In lieu of celebrating my third expat Thanksgiving in Spain with a roasted turkey, I had a hankering for pizza. Pillowy mozzarella, juicy tomatoes, tart arugula and buttery prosciutto. I could almost taste the tangy bliss. But the last time I went to Italy, things didn't go so smoothly. A month before I was diagnosed with Celiac disease in 2010, I ventured to Rome to Eat, Pray, Love my way through the Eternal City. In between gooey pizzas and heaping plates of spaghetti, I spent my time running to the bathroom, keeling over in abdominal pain, and fighting fatigue and soreness throughout my entire body. Trying to keep up with the fast pace of sightseeing was positively grueling. At the time, I couldn't connect my pain to what I was putting in my body. I just figured it was normal to get sick after two beers or a bowl of pasta. After all, doctors had been giving me various nonsensical explanations for the past 11 years. From, "You're not eating right for your blood type" to, "You're just drinking too much coffee", no doctor ever pegged gluten as the culprit. So neither did I. Fast forward six years, and I now have the common sense (as well as the diagnosis) to know that, no, it's not normal to get sick after every meal. Furthermore, it's not normal to visit Italy and suffer through constant pain the entire trip. Thankfully, it's surprisingly easy to navigate Italy as a Celiac. In fact, I've found Florence to be the easiest place to eat gluten-free throughout all my travels. Italians are incredibly well-informed about Celiac disease, and knowing how to deal with gluten-free needs is common knowledge in restaurants. 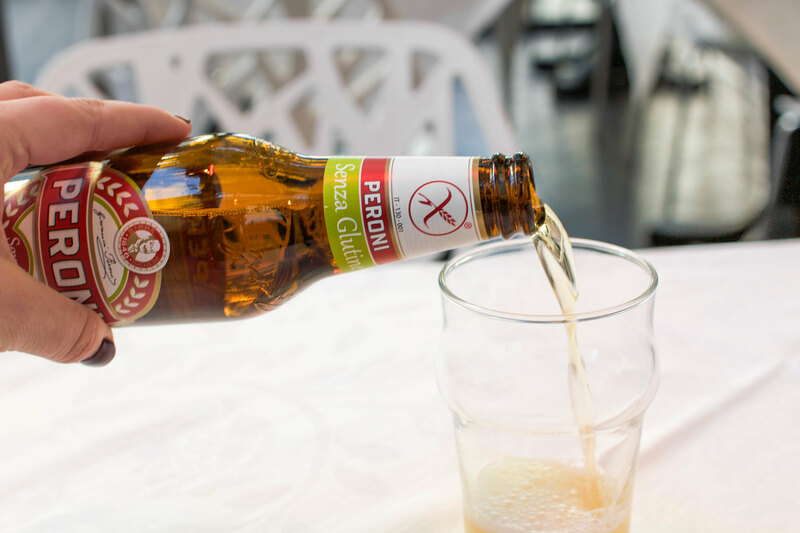 Why are Italians winning the gluten-free game? According to the Associazione Italiana Celiachia (AIC), about 1% of Italians have Celiac disease. Though that may sound high, this statistic is roughly the same in the USA and across Europe. But with gluten as the cornerstone of Italian gastronomy, the need to accommodate Celiacs is significantly greater. To understand why so many gluten-free options abound in the land of pizza and pasta, let's contemplate the Italian culture of cuisine. Of the many things that Italians are known for, perhaps their most notable qualities are their social nature and deeply ingrained love of food. Life happens at the dinner table, so to deliberately leave someone out of the mealtime merriment would be simply preposterous. In a culture that places the utmost importance on enjoying food, eating gluten-free isn't a fad, it's an ailment that needs to be dealt with. That's probably why the AIC recognizes over 4,000 gluten-free restaurants in Italy. The Italian government even gives Celiacs a stipend of up to 140€/month to cover additional food costs. So... when can I move there?! 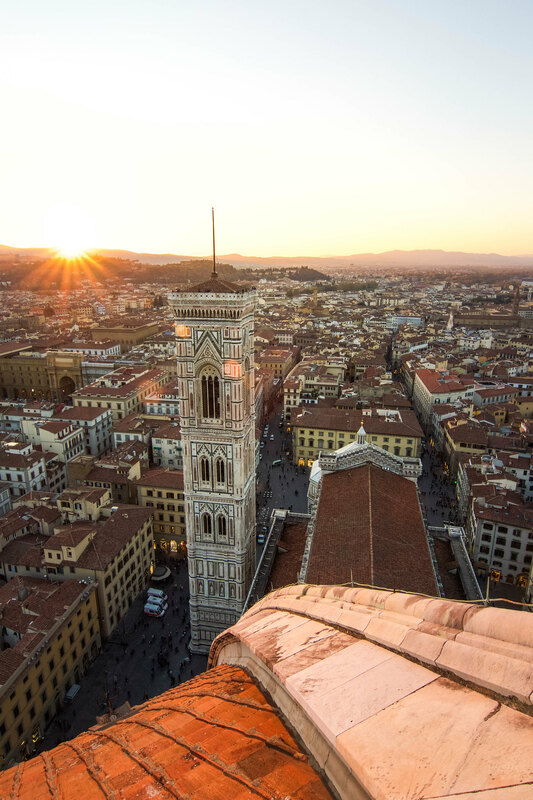 With a myriad of gluten-free options and an overwhelmingly positive attitude towards accommodating Celiacs, eating gluten-free in Florence shouldn't be a considerable challenge. 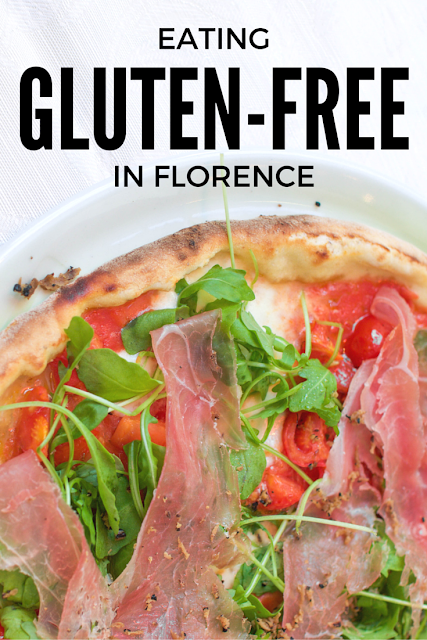 The following restaurants have my favorite senza glutine (gluten-free) menus in Florence, so prepare your tastebuds for a gluten-free feast of Italian treats. Just in case, print out a gluten-free Italian restaurant card to show your waiters if you have any doubts about a dish's ingredients. 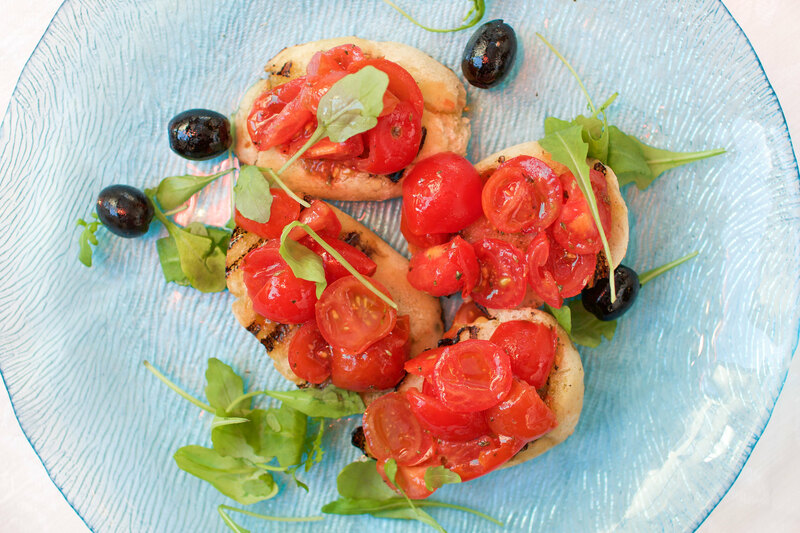 I began my feast at Ciro & Sons with the gluten-free bruschetta topped with succulent tomatoes, fresh arugula and a light drizzle of olive oil. The refreshing combination of flavors invigorated my tastebuds and helped tide me over until my pizza finished cooking to perfection. Next, I devoured the decadent gluten-free Vesuvius pizza with prosciutto, buffalo mozzarella, truffle, arugula and tomatoes. The gooey mozzarella melted in my mouth, while the fluffy crust actually made me ask the waiter, "Are you sure this is gluten-free?" 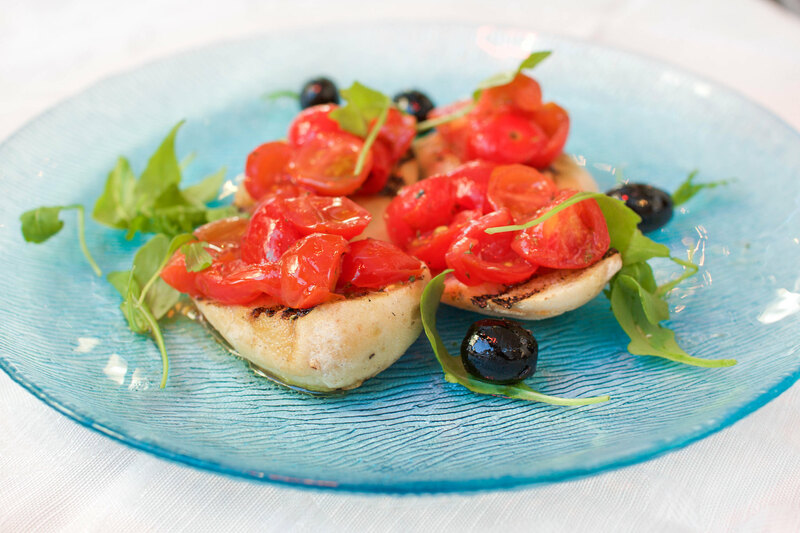 Ciro & Sons boasts an extensive gluten-free menu, although some dishes can be on the pricier side. Their claim to fame is winning first place in the World Championship for Gluten-Free Pizza and the World Championship for Organic Pizza. (Side note: what's a girl gotta do to be a judge in these competitions?) They even sell boxes of their famed gluten-free crust at the restaurant. Note that reservations are required if you plan on ordering their gluten-free pizza. Nestled next to Florence's Central Market, Da Garibardi is packed with lively locals rather than hungry tourists looking for their next quick bite. As the only native English speaker (and solo diner) in the joint, I surely stuck out like a sore thumb. Granted, that made the restaurant feel all the more genuine. Unabashedly loud families and overly-affectionate couples surrounded me, and I had to admire how quintessentially Italian it all felt. Then there was me, seated in the corner, alone on a hot date with a colossal bowl of gnocchi. Elizabeth Gilbert would have been proud. 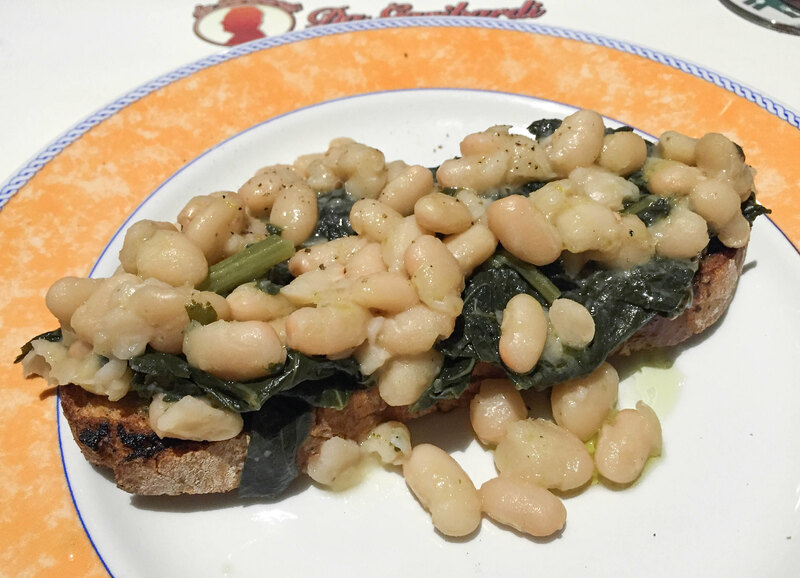 Picking just two dishes from the vast gluten-free menu was a difficult feat, but I eventually settled on the crostone cavolo nero e fagioli: gluten-free toast with Tuscan beans, cabbage, olive oil and garlic. Once again, the bread was so crispy and delectable that I had to double check if it was really senza glutine. The hearty combination of beans and cabbage made for the ultimate winter treat, and I could have easily indulged on more if I hadn't also ordered the gnocchi al pesto di cavolo nero e pancetta croccante: gluten-free potato gnocchi with pesto and crispy pancetta. The gnocchi effortlessly achieved the perfect level of creaminess, while the pancetta added an extra savory punch. I sipped on a glass of Chianti as I relished my meal, and predictably skipped the gluten-free dessert menu in lieu of more gelato. Cozy and unpretentious, La Luna is the neighborhood pizza joint you'd take your family to on a typical Friday night. This mom & pop eatery is tucked away in a residential neighborhood, so you're bound to be the only foreigner in the joint. Though this hole in the wall could easily be missed, its simple charm and authenticity make it well worth the trek. The staff's English was rusty, but after a few smiles, per favore's and grazie's, I was happily devouring my meal. I started with the fried mozzarella, which wasn't particularly extraordinary other than the fact that I hadn't eaten mozzarella sticks in over six years. Next, I gorged upon the gluten-free Margherita pizza draped in buttery mozzarella, tangy tomatoes and pungent basil. As this was my first meal of the trip, I made the mistake of trying to eat my pizza with my hands, American-style. I watched in horror as the molten cheese promptly slid into my lap. Feeling publicly shamed, I took an inconspicuous peek at the other diners and noticed that they were all eating pizza with forks and knives. Duly noted. I topped off my feast with the gluten-free tiramisu, which left me positively satisfied (and desperately in need of someone to roll me back to my hostel). 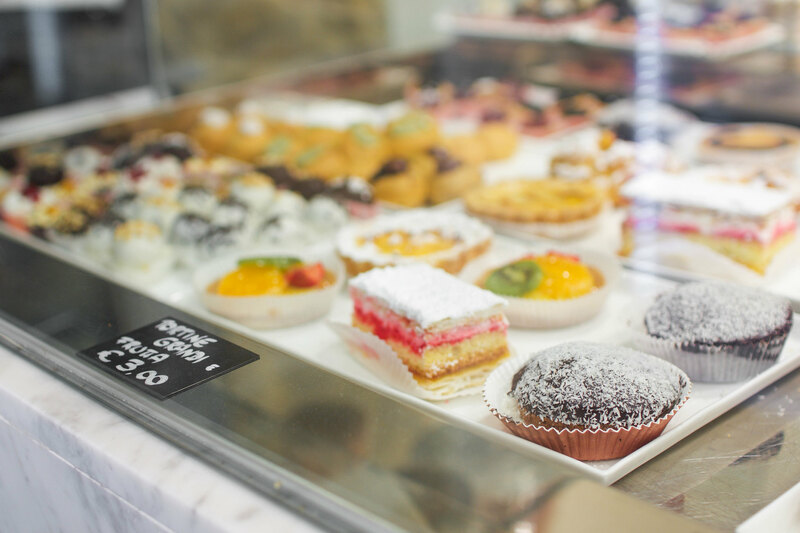 As Florence's only gluten-free bakery, Starbene is unquestionably Celiac Heaven. Just a five minute walk from the central Piazza della Signoria, this quaint pastry shop was one of the best stops on my gluten-free pilgrimage. The owners are remarkably friendly and were eager to recommend their favorite specialties to me. 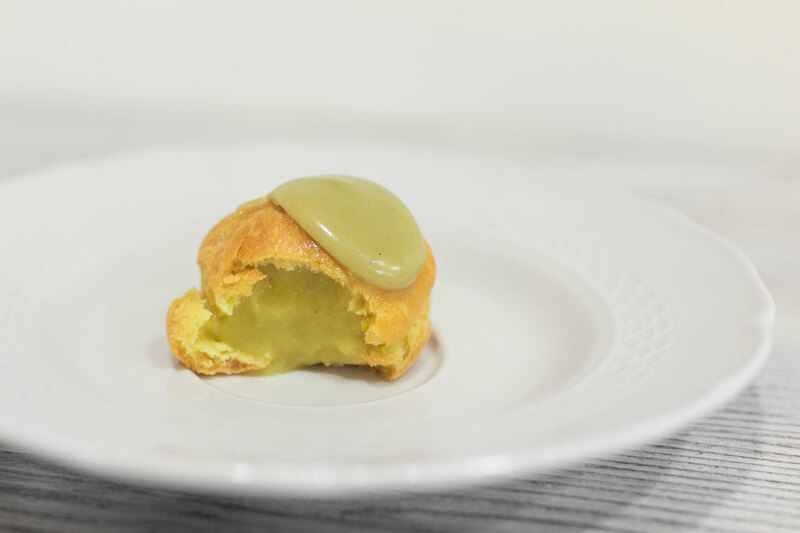 When I asked what their favorite Florentine treat was, they pointed me to a gluten-free cream puff saturated with rich pistachio filling. Fluffy and oozing with flavor, I savored each bite as if it were my last meal on earth. I also picked up a creamy chocolate tart to take back to the hostel with me (with the intention of saving it for breakfast, but you can only imagine how successful that was). This popular chain crafts their scoops of high-quality gelato from organic ingredients and fresh seasonal fruit. Focused on sustainability, Grom also utilizes biodegradable spoons and cups. The staff were well-informed about which flavors were gluten-free, making sure to steer me away from any scoops that weren't Celiac-friendly. I've heard they're also pretty careful about avoiding cross-contamination, but I was too busy flirting with the cute gelato scooper to notice any of that. On my first venture to Grom, I paired caramel and Himalayan salt with hazelnut gelato. It was the ultimate trifecta of sweet, salty and savory. 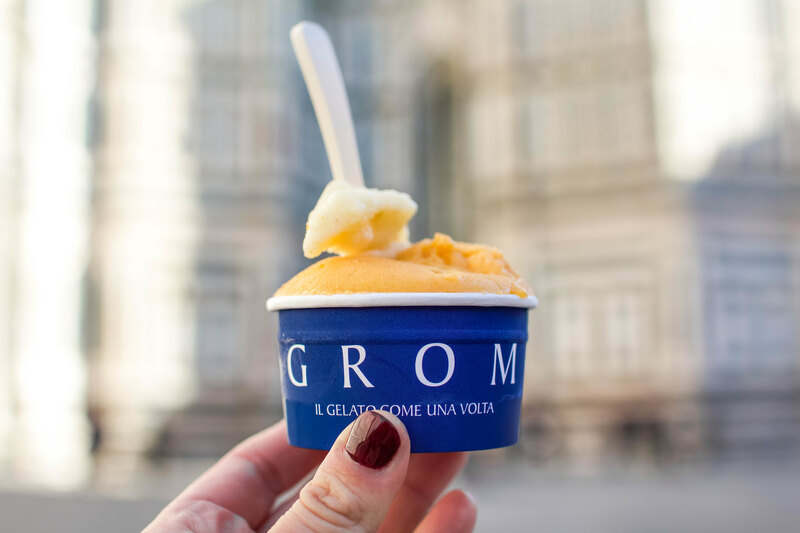 The next morning I tried a seasonal scoop of persimmon gelato, because who says you can't have gelato for breakfast? 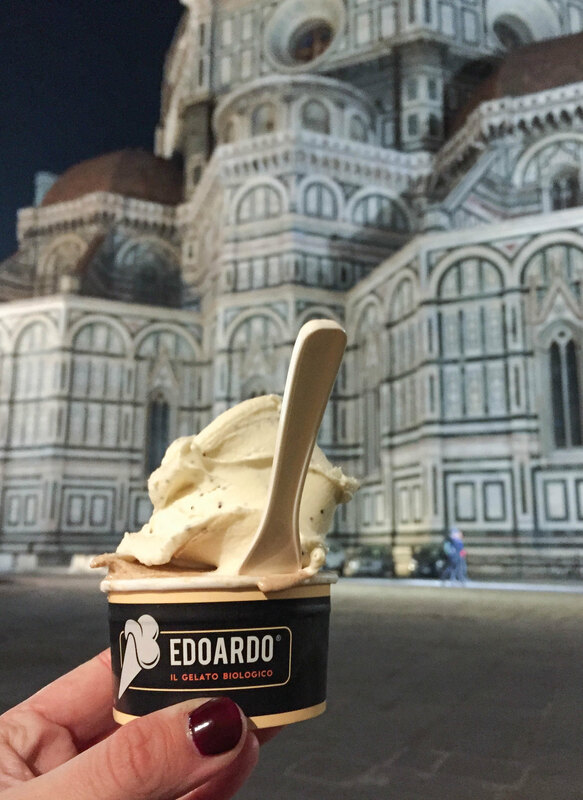 In the shadow of the iconic Duomo, Gelateria Edoardo is best known for their whimsical flavors made from all organic ingredients. Though located in the heart of touristlandia, you will only find the purest and highest quality ingredients here. Their gelato is free of preservatives, additives and artificial flavors - so you can eat as much as you want without feeling guilty... right? While there were plenty of gluten-free options to choose from, I landed on cinnamon paired with honey and poppyseed gelato. The cinnamon was exceptionally creamy, while the smooth honey and poppyseed was packed with flavor. With such unique and decadent flavors, it's no wonder Edoardo is rising to the top of Florence's artisan gelato scene. 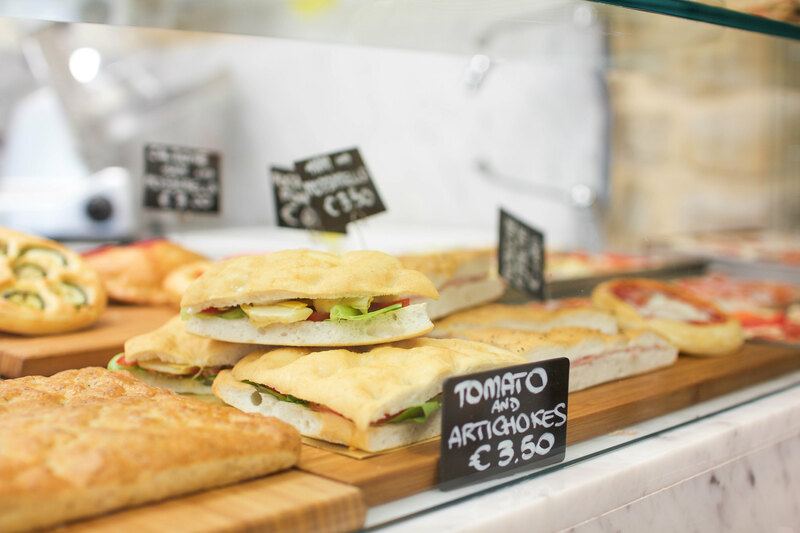 For more gluten-free options in Florence, check out the top floor of Terracafè next to the Santa Maria Novella train station for snacks, light meals and other sweet treats. 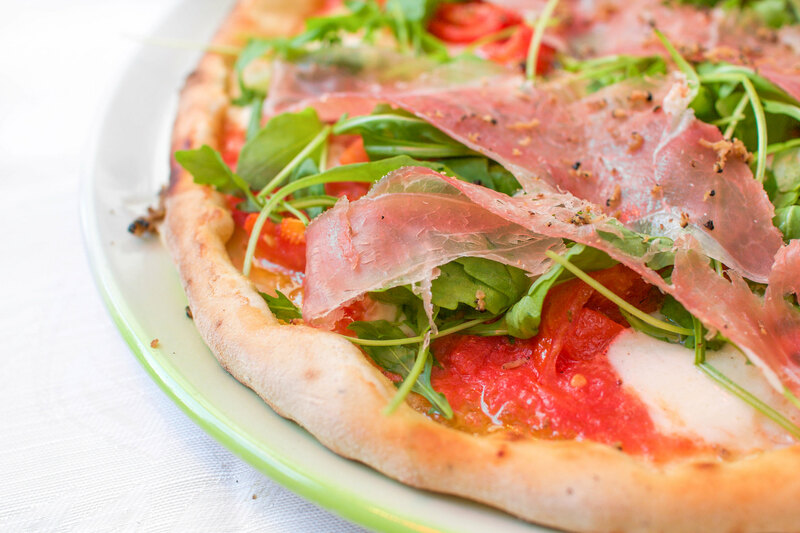 Le Botteghe di Donatello in the Piazza del Duomo also has a tempting gluten-free menu featuring a delectable assortment of pasta, pizza and meat dishes. Do you have any food allergies or intolerances? If so, how do you deal with them on the road? Have you had a similar experience in Italy?